There is no doubt Cortes Island is magical. There is something inexplicable about the energy that enveloped me as I arrived. The island is part of the traditional territories of the Klahoose, Tla’amin, and Homalco Nations. You could easily spend a lifetime uncovering the island’s secrets, and this sense of discovery is at the heart of the Hollyhock educational institute. Hollyhock was founded in 1982 as a place to engage in discovery of ourselves and our world. The story behind its creation, detailed on their website, is written by co-founder Rex Weyler. The awe-inspiring story makes doubting the universal consciousness very difficult to do. Now, thirty-six years later, Hollyhock is renowned as a spark that can lead to uncharted territory and new discoveries within you. Upon exploring the website I found programs listed under Wisdom Teachings, Social Innovation, Movement, and Creativity, and conferences centred on Social Change and Social Venture. It becomes very clear one’s path is about to be disrupted. The simple act of signing up for any one of the programs or conferences signals an openness to dive in. An invitation to unleash something within you—maybe something long buried resurfaces, you develop a love for a new skill, or the emergence of a fresh thought leads to a passion never before considered. Regardless of your choice, you are supported by caring and dedicated staff who upon meeting feel like old friends. The vibration of fellowship that exists is extraordinary. My transformation began the moment my foot met the ground, and carried on through every amazing, challenging, and rejuvenating experience. 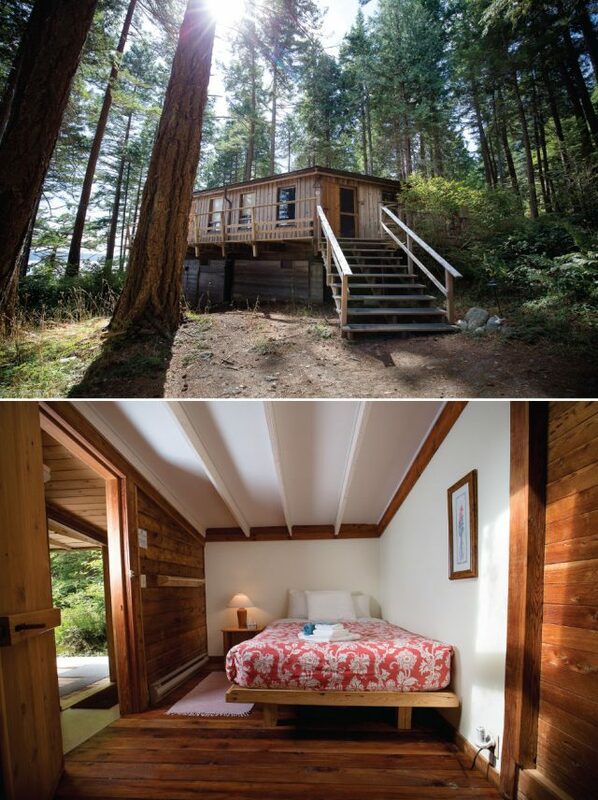 Staying at Hollyhock allows you to breathe in the mystique. Whether you are participating in a program or simply there for some much needed rest, you choose the accommodation best suited to you. Options range from rooms for a single person to an entire family, to a 6-bed dorm style room, to tenting with a full service bathhouse. The cuisine, created with love and passion by Hollyhock’s talented chefs, is a delightful exploration through an undiscovered palate that sustained me throughout. Along with your meals and accommodations, activities such as yoga and meditation as well as naturalist and garden tours are also included—no two days are alike. Walking through the fragrant, exquisite grounds, you find yourself unable to recall the noise of daily life. 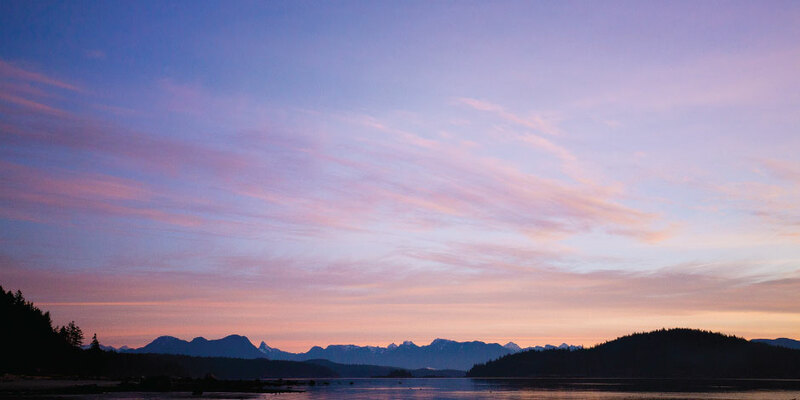 While Hollyhock programs vary from one day to 14, planning extra time to explore Cortes Island and the surrounding Salish Sea is highly recommended. Extra time allows opportunity for magnificent views and a chance to uncover some of the island’s secrets. To this day, I still carry with me the island’s images and magical essence. As each person emerges from their time at Hollyhock and goes back into the world, it cannot help but be a better place.